Teresa's Happy Place: Stampin Dreams Blog Hop March Easter. 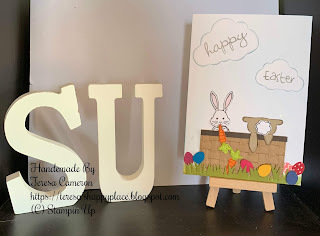 Stampin Dreams Blog Hop March Easter. this is the card that i have made for it. from what you have see today. Don't forget to continue the Blog Hop all the way around to see what everyone has come up with. You are currently with me - Teresa, checkout the list below to see who is next in the hop. Here are some of the products I have used on today's card - Click on the item you would like and this will take you straight to my online shop.